There was a time when I used to have an opinion on every film showing in the cinema, but I honestly cannot remember the last time I watched a full movie. Blame a busy schedule, Netflix binges or my talent for falling asleep on the couch the minute I sit down, but it has been a long, long time. 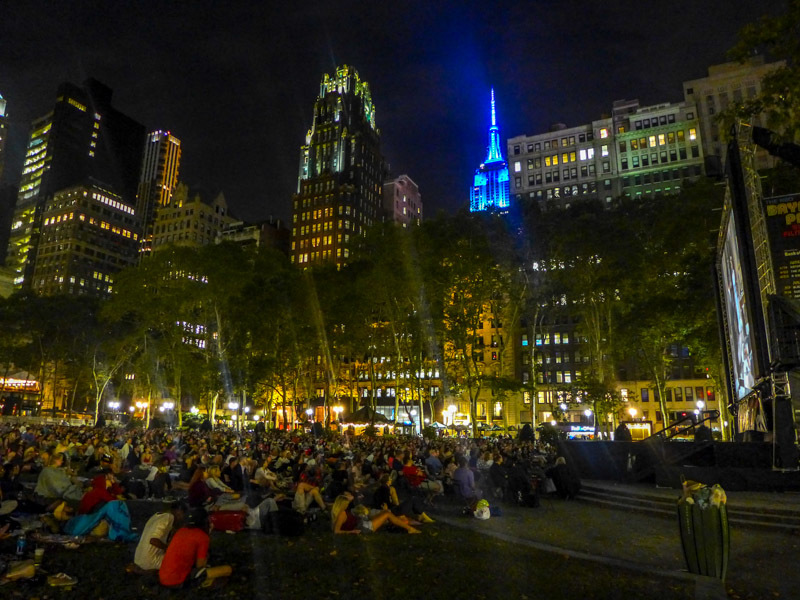 So thank goodness for Bryant Park’s Summer Film Festival, which made me roar with laughter as I watched a whole comedy classic surrounded by the glow of the city. 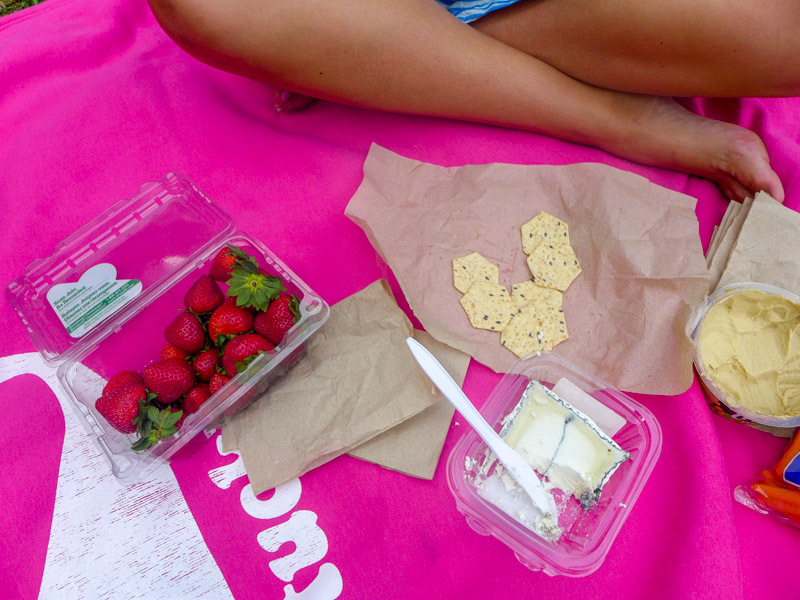 We snacked on crackers, brownies and strawberries before it got dark enough for the movie. And we quickly learned that we’d missed a sly trick: a lot of people seemed to be getting away with necking alcohol in public. I think as long as you don’t misbehave, it’s overlooked. The film was ‘Lover Come Back’ – a 1961 comedy starring the dreamy Dorris Day and the even dreamier Rock Hudson as two advertising execs competing for the same account. Little does Day’s character know, the account is actually phony, so Hudson’s character tricks her into thinking he’s the inventor of the mysterious product – when he’s really trying to woo her. Cue lots of hilarious antics. The best part of the whole experience was watching it with hundreds of other people who were equally gripped. By the end, there was whooping, booing and big belly laughs. Everyone got swept up in the atmosphere. Plus, I finally watched a film all the way through! It was a fun classic – with gorgeous wardrobes and a solid script with plenty of cheeky innuendos. Much better than all that special effects rubbish the kids these days like, eh? 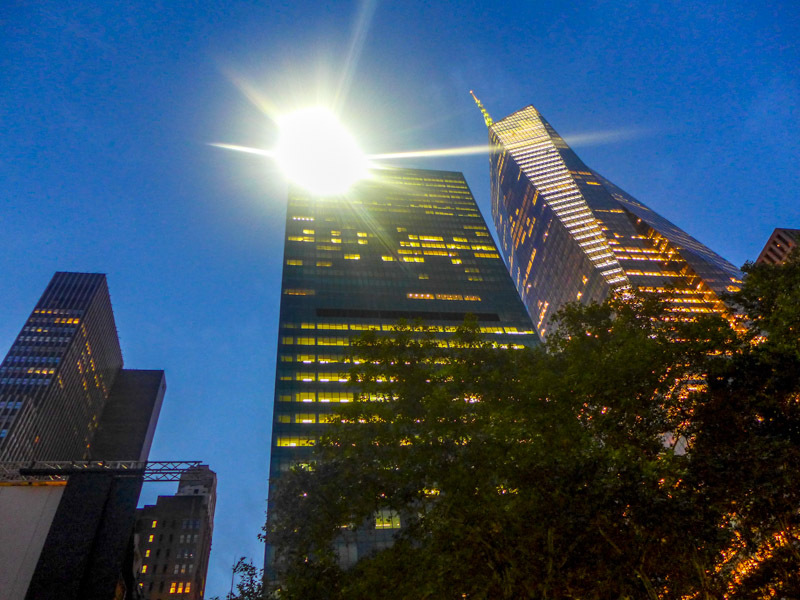 This is such a glorious – free – way to spend a summer evening after work, and I am ashamed I haven’t been before. 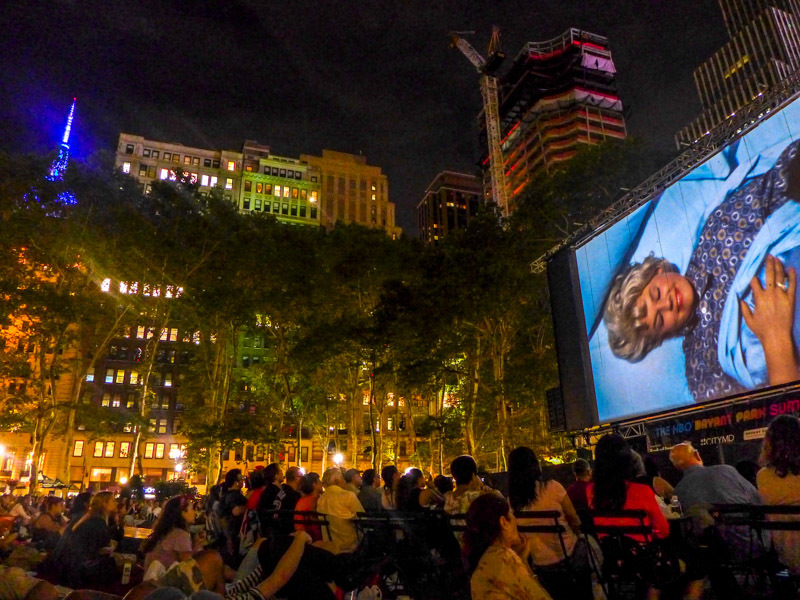 I’m already looking forward to next year’s schedule, but for now you can check out other outdoor summer movies at various other locations across the city. Look at this lovely extensive list. 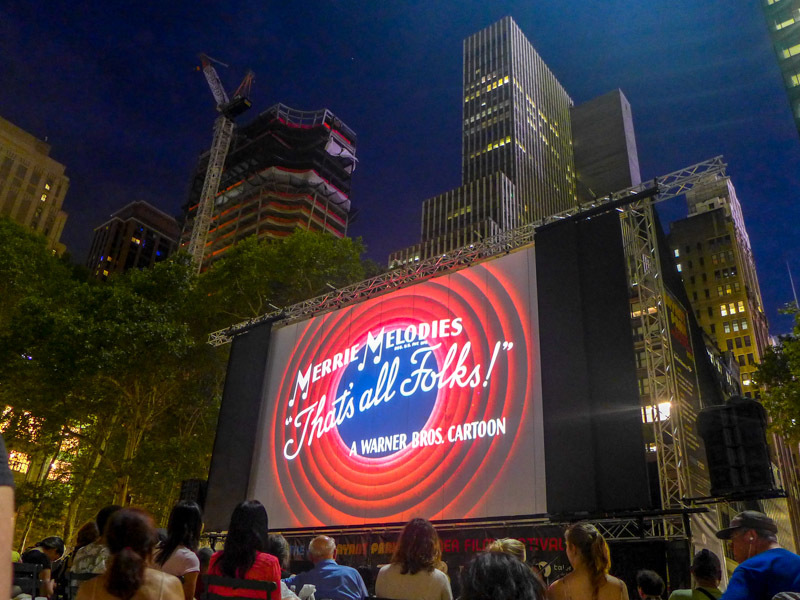 I love outdoor movies! 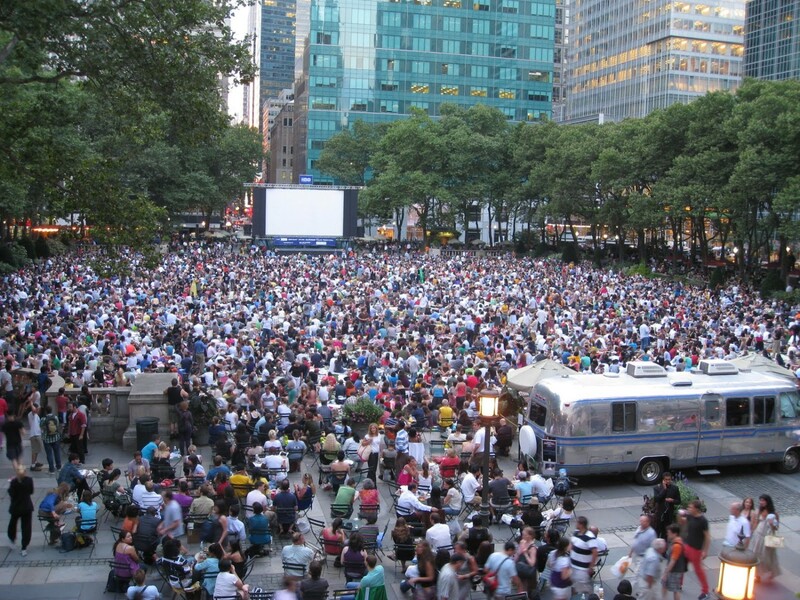 Bryant Park is always so packed for these- it’s intimidating. Glad you had fun. I’m exactly like you- have such a difficult time watching a full movie! 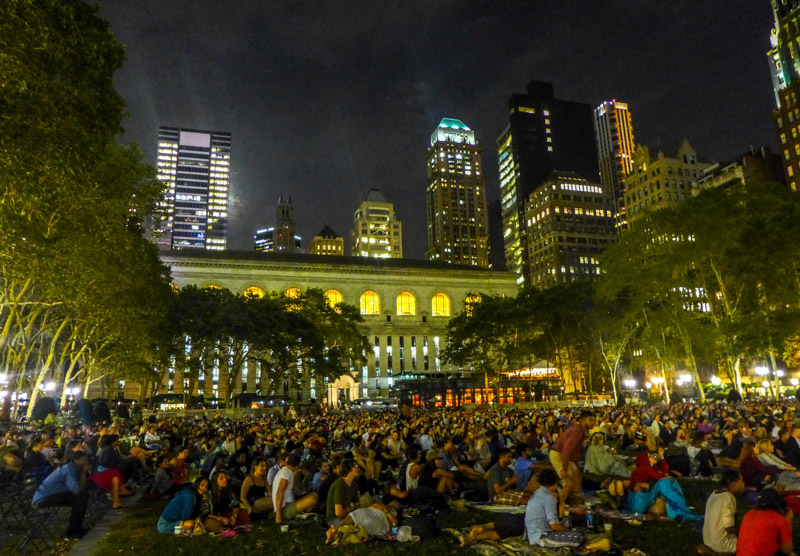 The Met Opera starts outdoor screenings next week of full opera productions- are you planning to check that out? Oh wow, yes! Good tip – I’ll definitely have to check them out!